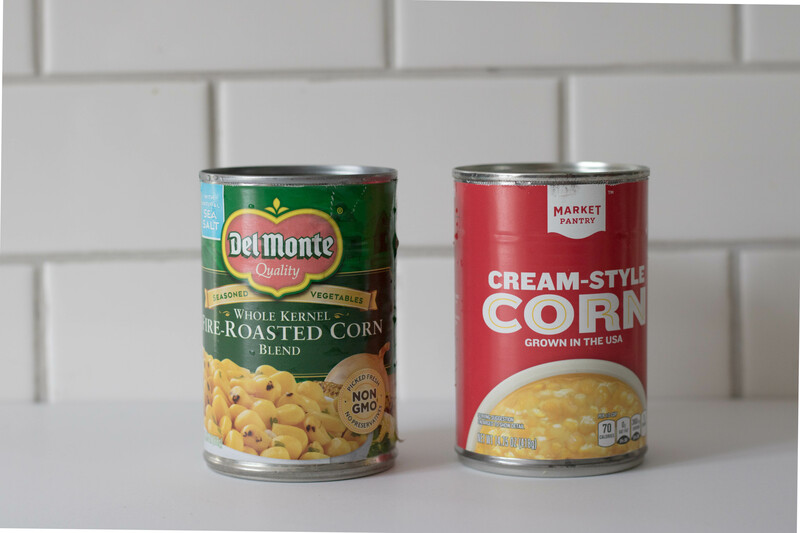 I’ve got a super easy Up-cycle…or maybe you want to call it a down down-cycle project, because we are turning new cans into old rusty cans today! Whaaattt?? why do that? 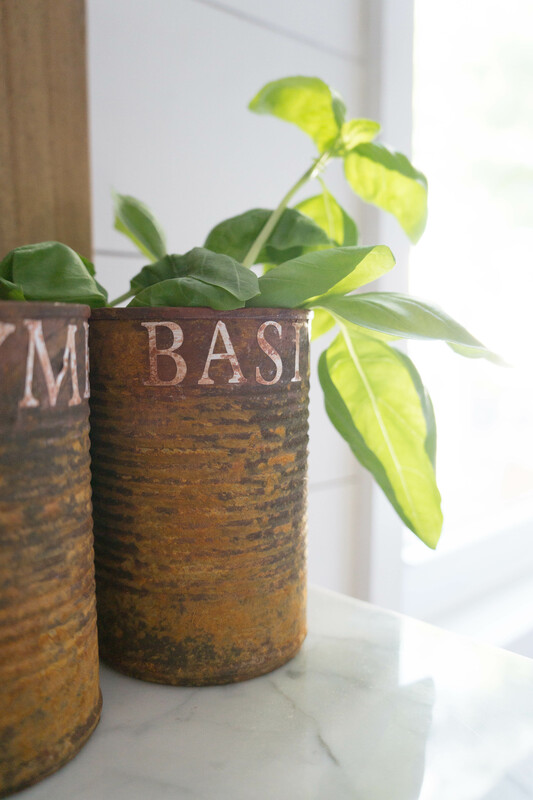 lol if you like a farmhouse look and rust, patina, chippy, old, rustic are words that describe your taste, then this is the perfect little project you can do this Spring or Summer. This is a sponsored post by Cricut, but all opinions are 100% by me. 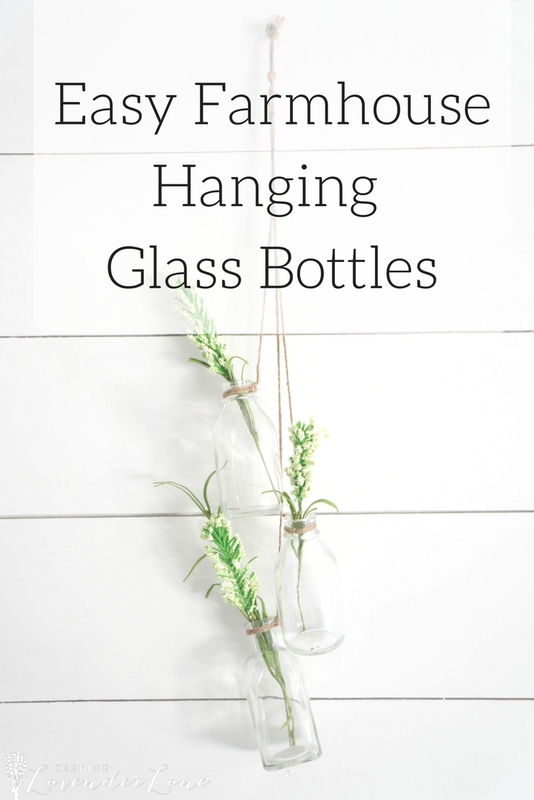 This post also contains affiliate links that I receive a small commission from, with no added cost to your purchase. Vinyl outdoor letters cutout from Cricut Machine. 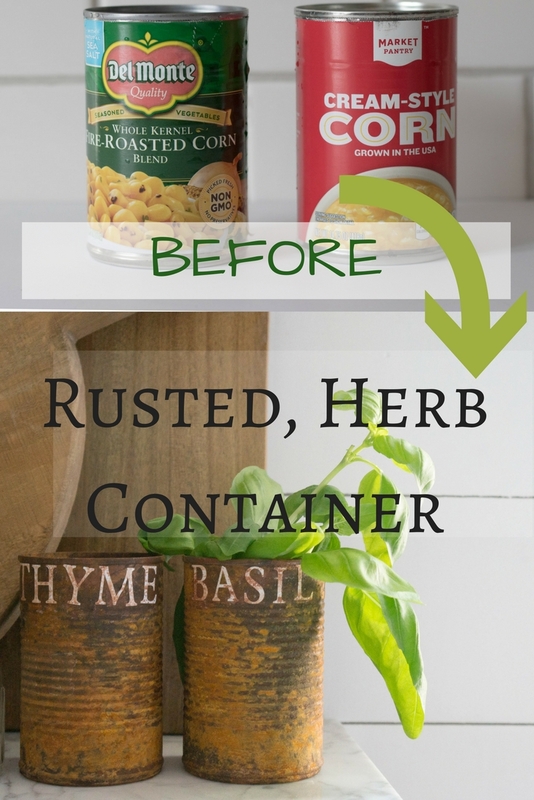 Start with your old cans, and peel off the label. Then follow directions to the Modern Masters Metal Effects. 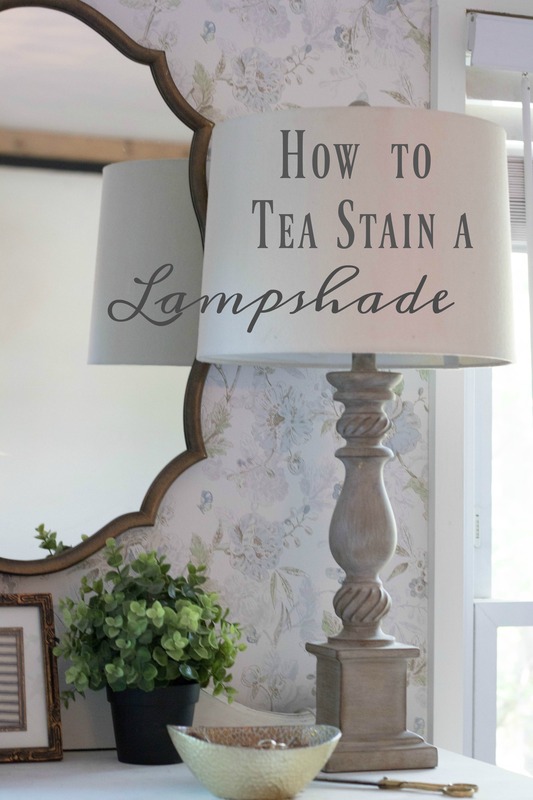 It should take a few hours to complete with drying time. Next Day, or hours later…once can is in it’s rust state. 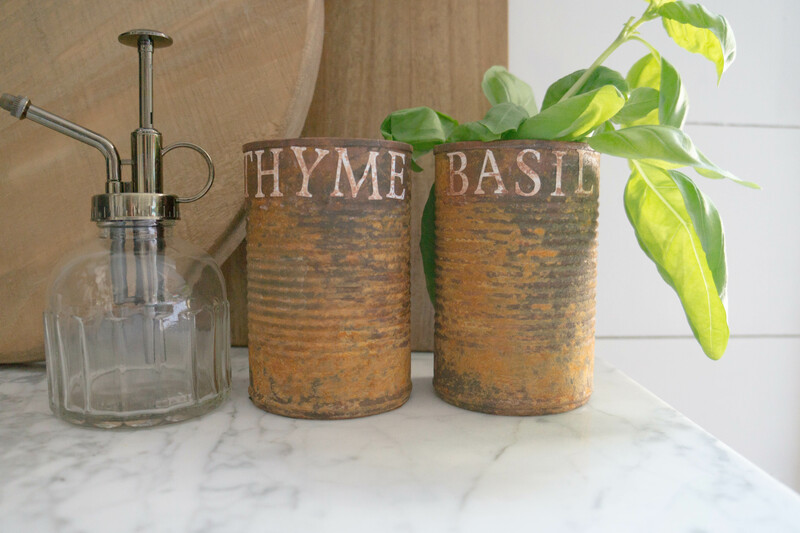 Create BASIL, THYME, ROSEMARY, MINT, etc whatever words you wish to put on can in Cricut Machine. Now, I chose to do the outdoor vinyl, so if I wanted to place this outside, and also the vinyl was easy to adhere to the can. I originally tried stenciling the words, and unfortunately that did not work out to well because of the rigid surface. To now make the letter look “old” take more of your primer paint from the Modern Masters box, and slight dab over the letters. Create a natural warn look to the lettering. 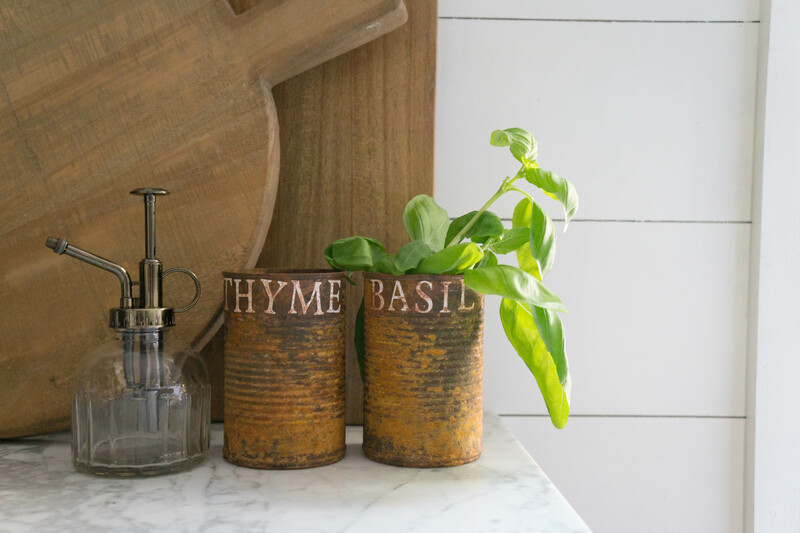 then add some fresh herbs, for display! Deb, these cans sure are cute! Isn’t it great that everything old is now new? I love when things look like they have lived a long life. 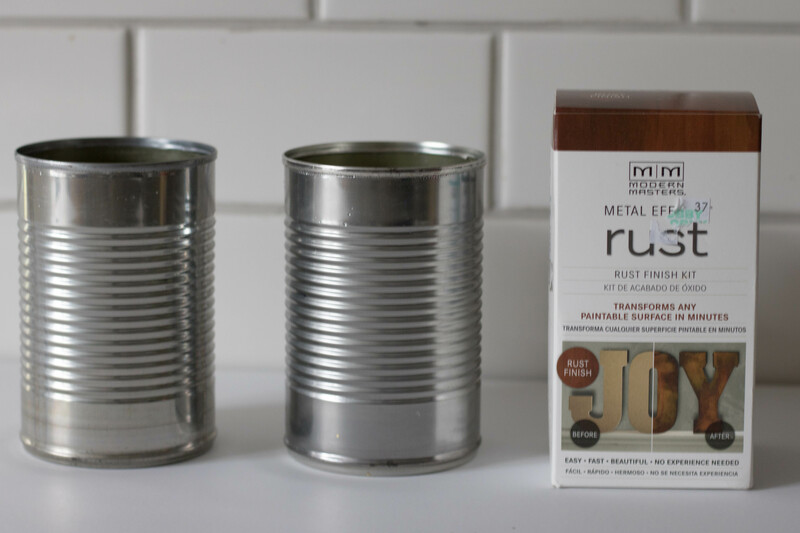 These rust cans are adorable! Thank you Randi, you are so sweet! I love everything that’s looked like it has a story behind it and has been around for years and years!